Children are naturally curious and love to explore and learn about new things, especially in their early years. The world is big and children seem to want to know about everything about it. I can’t count the amount of questions I am asked every day by my kids. It actually drives me nuts sometimes because I don’t have all the answers. But a child’s endless stream of questions, no matter how much it drives you crazy, should be encouraged. So, anything I don’t know, I find out and use it as an opportunity to teach. Giving kids the opportunity to feed their curiosity is not only important for their development but also for their well being. 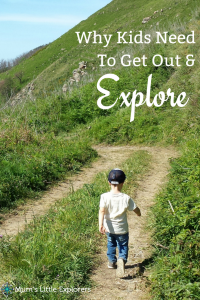 There is so much to be gained from getting out and letting your child explore. Confidence is one of the greatest gifts you can give your child. Exposing them to new and different experiences on a regular basis teaches them to never stop learning. One day our kids will be out in the world on their own and we can only hope that we have given them enough confidence to be able to explore safely, and independently. Raising children who appreciate the world and the people in it is important. We need to show them what else is out there and teach them about diversity. 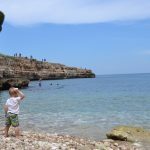 So, whether it be travelling with your children overseas to show them another culture, heading out camping for the weekend for them to experience nature, or going out for the day to the local museum to learn about something new, children can always benefit from getting out and about and seeing something new and different. Quality family time inside the home is different to outside. Kids have all of their “things” at home, parents can tend to find things they need to do around the house and we can all get distracted. There are phones, ipads, laptops etc. Getting outside helps the whole family unplug from everything and appreciate each other. 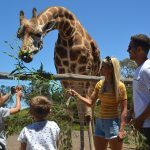 It can be something simple such as going for a walk or a bike ride, visiting the zoo or a museum, or even just heading out for lunch or dinner together. Getting out to explore something different can help everyone relax. With so many material things, it is easy for children to become overwhelmed and unsatisfied. It is important that we teach our children to appreciate the little things in life. Getting out and exploring things they are not typically used to will make children appreciate what they have. Asking our kids questions about what we have done or what we have seen is important, as well as asking how it affected us, and how it made us feel. One of the most important things I believe in teaching children, is to put importance on experiences rather than things. 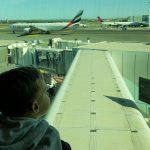 Every year when birthdays and Christmas comes around I beg my family to give my kids an experience, rather than just something to play with. Experiences create memories and are much more valuable to children than any toy you can give them. Things don’t last long, and easily get replaced. Kids remember experiences, the lead up to what you are going to do, the excitement in planning and the happiness they felt afterwards. Memories can then be revisited over time through conversations and photos. Children will treasure those memories for a lifetime. So rather than buying your child the latest video game, doll, or gadget, think about where you can take them to give them a real experience to remember. Allow your child to explore. They will learn that no matter how scary or different something may seem, they will be able to overcome it. 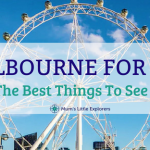 FOLLOW MUM’S LITTLE EXPLORERS FOR MORE POSTS LIKE THIS! 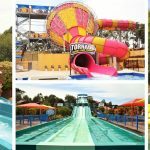 Adventure Park, Geelong – Water Slides, Theme Park Rides and loads of FUN! Great article! I agree with you about the differences of spending family time at home and outside. When we travel, we connect as family in a very diverse way. Priceless.